APPREHENDED: Hundreds of artifacts including stone-carved Bible, statue resembling Kilia Idol seized in Istanbul (Daily Sabah). Istanbul police seized a total of 836 historical artifacts, including a statue resembling the Kilia Idol, a statue sold for $14.5 million in a recent New York auction, and an 18th-century ancient Greek Bible carved in stone in anti-smuggling operations across the city. Seven people were detained in connection with the smuggling of the artifacts, which also included Bronze Age war axes, and bronze brooches dating back to the Phrygian and Urartu eras, along with rare manuscripts containing prayer texts in Armenian and Hebrew. The poor-quality photo at the top shows a bound book, three unrolled scrolls, and two rolled-up scrolls. I can't make out the writing on the unrolled scrolls, although I'm pretty sure that none of it is Hebrew. Nothing in the photo looks very old to me. It's hard to say more without better photos of more of the artifacts. I have no opinion about the stone object pictured later in the article. The artifacts seized in Turkey in recent years generally seem to be modern fakes or relatively recent manuscripts. I have yet to see any manuscript come up that looks genuinely ancient. That's not to say that one couldn't turn up or that some of the other artifacts rounded up this time couldn't be ancient. The article briefly mentions Roman coins. As I've said before, large lots of coins are probably genuine, whether or not ancient. It's not worth it to forge a bunch of coins. A forger would make one or a few valuable-looking ones. Some other coins were also seized by the authorities in Turkey recently. I have no idea if the artifacts in that lot are genuine. They are outside my expertise. But I do know that the coins were not "ancient Hittite." The Hittites were long gone before coins were invented. For past apprehensions of artifacts in Turkey, start here and keep following the links. How old is the Greek alphabet? Was Jeroboam II the real King David? What became of the Temple treasures? Why was the Golden Gate sealed, and who built it? 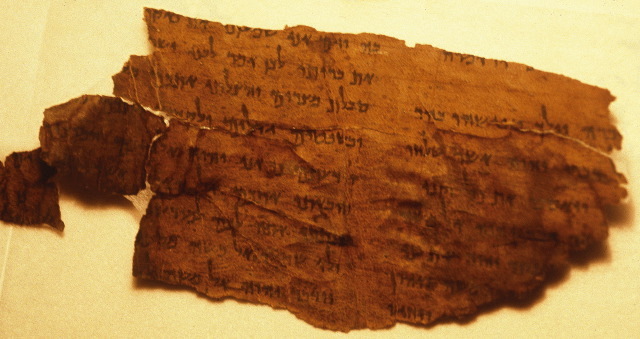 Ghost Hebrew in the earliest Hexapla fragment? Exodus, Moses, and plagues, oh my! A new god from Yemen? Why is there no archaeological record of Jesus?